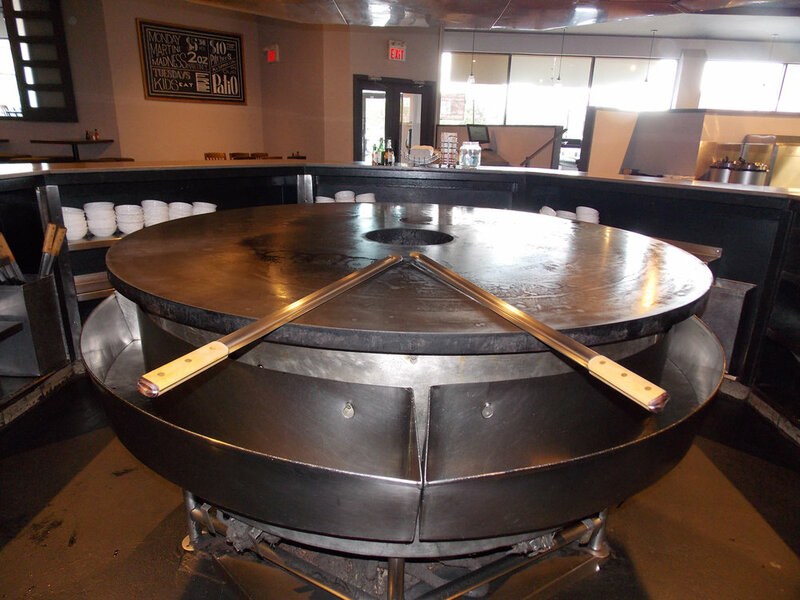 The grill is our one-of-a-kind over-sized wok. It is one seamless piece of forged steel. Heated by natural gas to a searing 700 degrees. This huge grill can handle over a dozen meals simultaneously. In traditional Mongolian style, the wok is tended to using swords. We have continued that tradition with our concept. 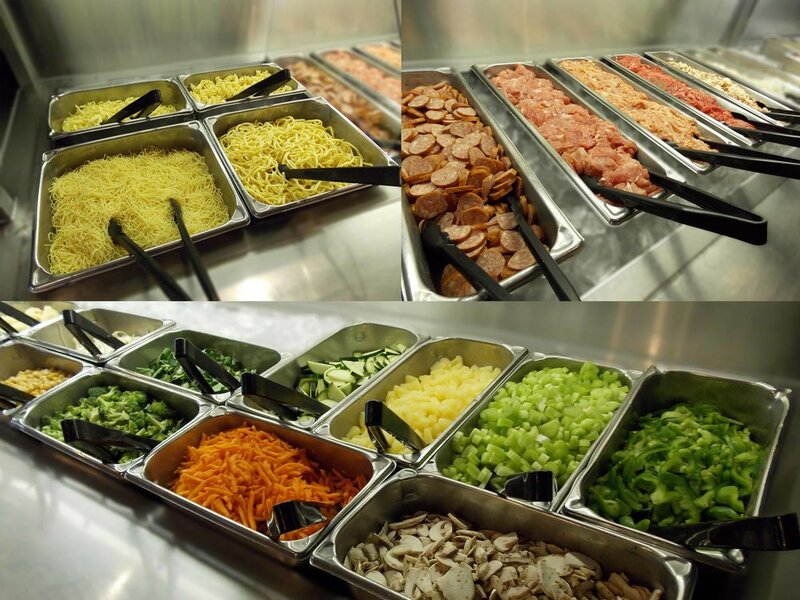 Watch our grill masters stir-fry your creation right in front of you using our custom made blades. Our produce and meat is cut in house on a daily basis. Take your pick from over 30 ingredients offered on our buffet. 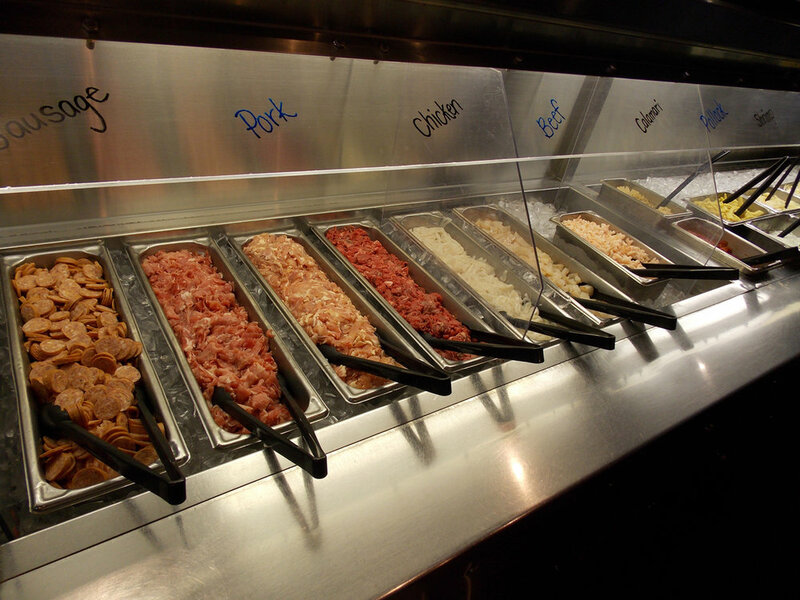 Note: We are committed to serving only the freshest ingredients on our buffet. Depending on availability/quality from our vendors, we reserve the right to add, substitute, or remove ingredients. Choose your flavour from our selection of over a dozen sauces and spices. Mild to spicy, Asian to North American, there is something for everyone to enjoy.